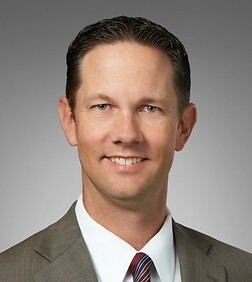 Joseph Foss is a special counsel in the Business Trial Practice Group in the firm's San Diego office. Joseph has extensive experience in all aspects of insurance-related litigation including insurance bad faith, coverage disputes, consumer class actions, and unfair business practices. Joseph has represented insurance company clients at trial, arbitration, and mediation. In addition to California law, Joseph's insurance litigation experience includes federal admiralty law. His practice has also focused on difficult questions regarding an insurer's duty to defend, with positive results for his clients. He has successfully argued on behalf of his clients before state and federal trial courts throughout California. Before joining the firm, he represented numerous healthcare providers at trial, arbitration and mediation in cases involving allegations of medical malpractice and other torts. Kalan, et al. v. State Farm - jury defense verdict in insurance bad faith case arising from agent's alleged failure to procure requested coverage. Cook v. Allstate Ins. Co., 337 F. Supp. 2d 1206 (C.D. Cal. 2004). Farmer v. Allstate Ins. Co., 311 F. Supp. 2d 884 (C.D. Cal. 2004).